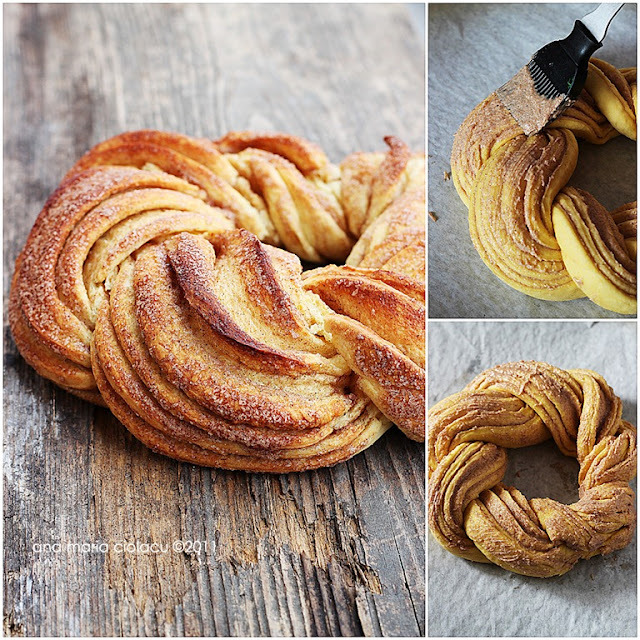 Try this fantastic recipe from Just Love Cookin’ and not only your house will smell good but you will love the taste of this cinnamon braid. Ana did a fantastic creation here!!! Get that cup of coffee or hot chocolate and enjoy! 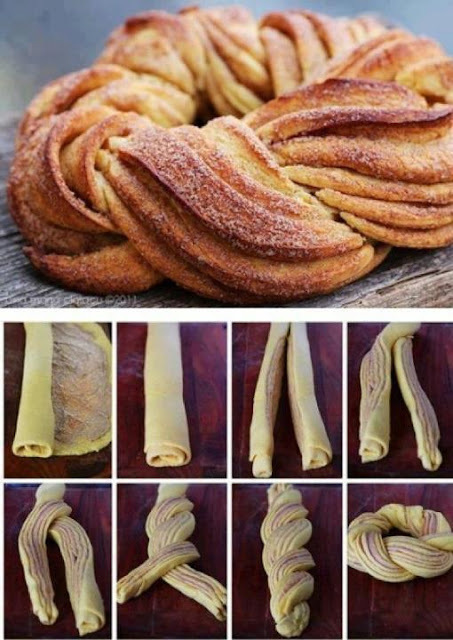 This is the best cinnamon roll you will ever taste. Mix the yeast and sugar with the lukewarm milk and let it sit a few minutes while the yeast bubbles and foams up. Preheat oven to about 400 degrees Fahrenheit. Dust your work surface with flour, and roll the dough out to a thickness of 1cm. Twist the two halves together, keeping the open layers exposed as described in the photo tutorial. Give a round shape, then transfer to a baking tray (buttered or covered with cookie sheet). Top the remaining butter and sprinkle some sugar and cinnamon mixture. Bake for 30 to 35 minutes, until the top is golden brown. Reduce the oven temperature to 350 degrees Fahrenheit after 5-10 minutes to stop it burning. Top with icing sugar mixed with water if you want, just sprinkle some sugar, or eat it like this.